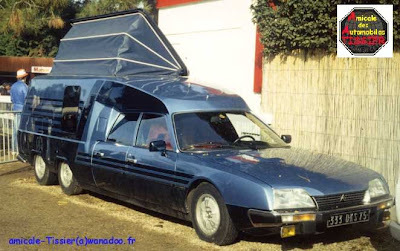 In 1972 Pierre Tissier had the concept of building multiple wheeled vehicles based on the DS, these “centipedes” would utilise the front wheel drive as well and the hydraulic suspension and brakes to create multi axle utility vehicle. 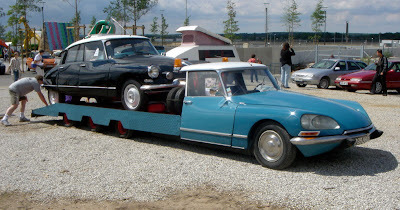 At the same time he was a Panhard agent in Paris and would regularly travel to and from Spain transporting cars, at the time there was no real suitable vehicle that was both practical and comfortable to use so Pierre built the first of many extended DS’s. This was done in just 3 months. 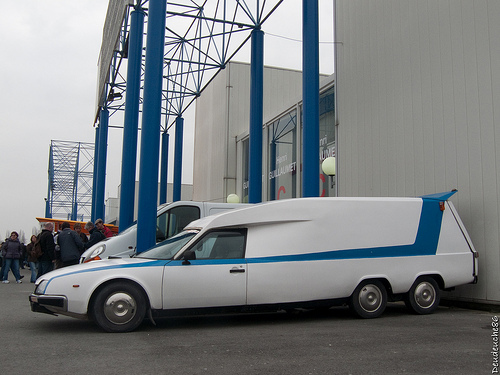 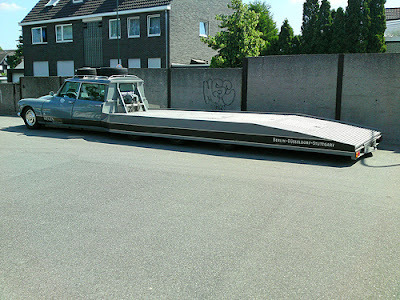 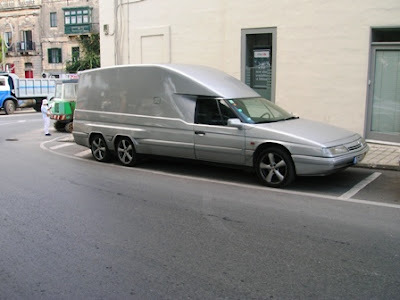 This unusual car received a lot of attention that resulted in an order for one. 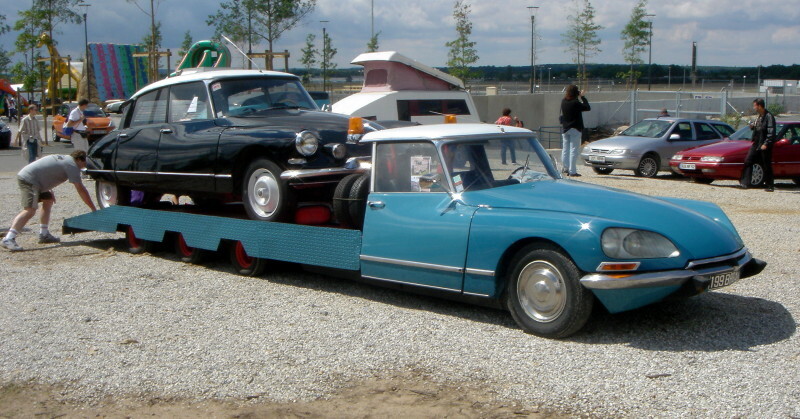 This first order ceated a new company specialising in converting the DS for a number of uses. 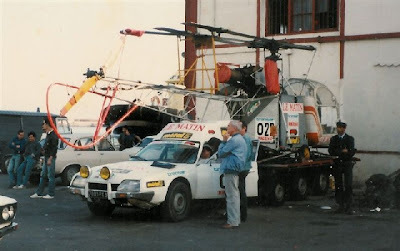 From here the concept was constantly amended and added to, to produce a variety of commercial and domestic uses with a number of different wheel configurations. 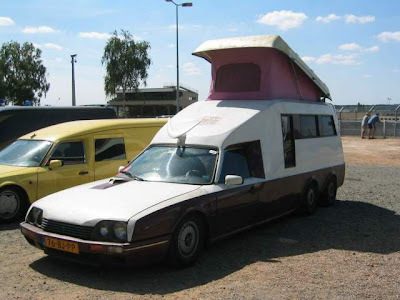 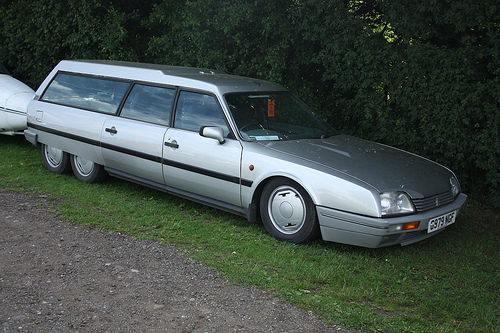 As the DS became the CX in 1975 the rear was enclosed and ambulances were added to the list of options and campers. The idea even stretched into the 80’s with the XM although by this time production was limited. The link below goes through in much more detail and although not a straight forward read (it’s a translation) it’s worth 10 mins of your time.